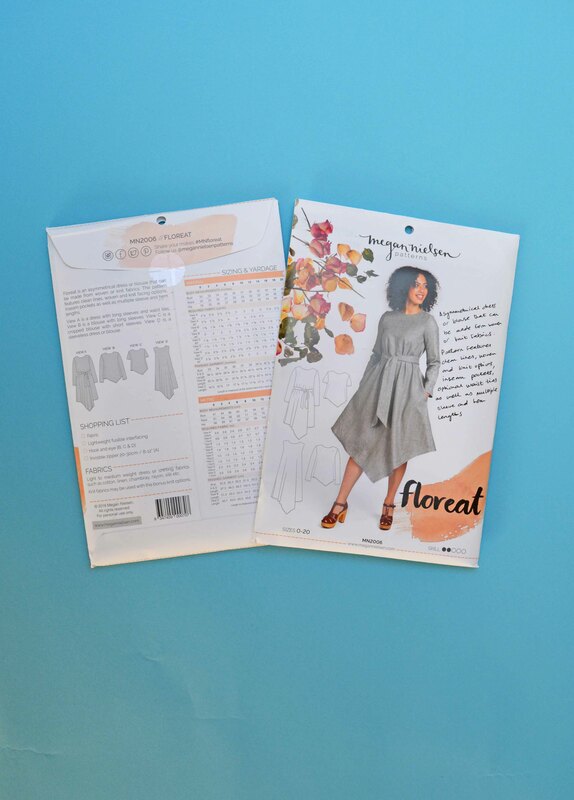 Buy the Floreat Dress and Top sewing pattern from Megan Nielsen. 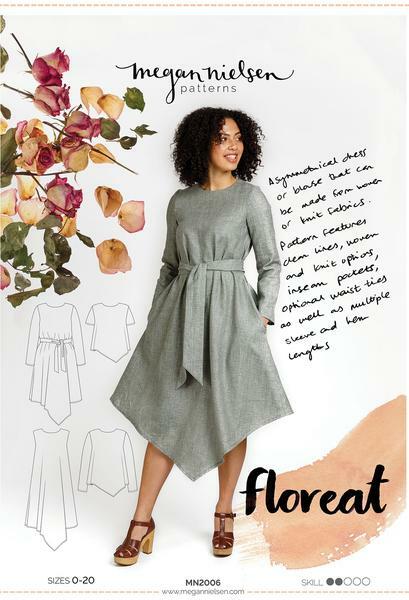 Floreat is an asymmetrical dress or blouse that can be made from woven or knit fabrics. 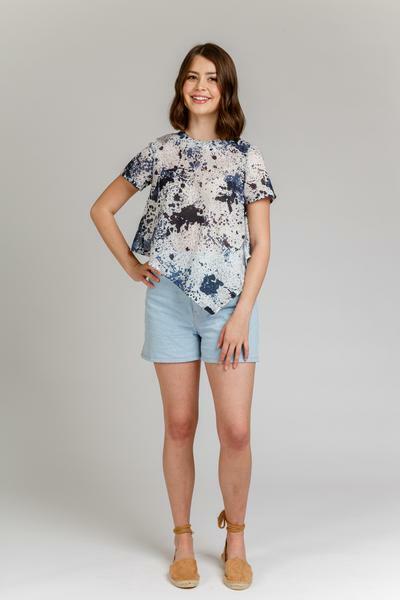 The pattern features clean lines, woven and knit facing options, inseam pockets as well as multiple sleeve and hem lengths. 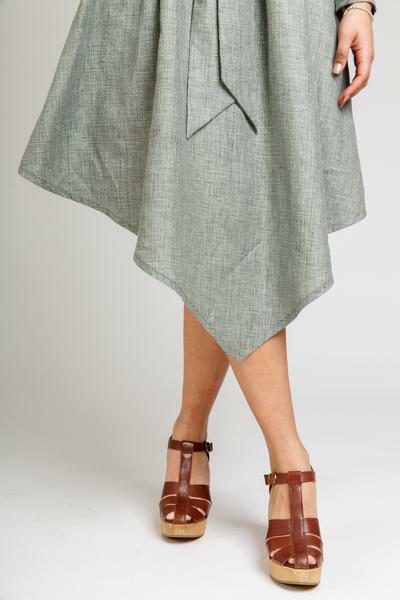 Fabric suggestions: Light to medium weight dress or shirting fabrics such as cotton, linen, chambray, rayon, silk etc. 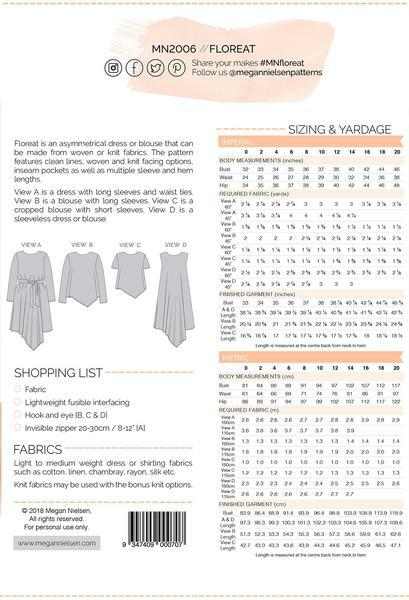 Fabric requirements: 150cm wide // view A 2.6m – 2.9m, view B 1.3m – 1.4m, view C 1m, view D 2.3m – 2.6m. 115cm wide // view A 3.6m – 3.9m, view B 1.8m – 2m, view C 1.2m – 1.3m, view D 2.6m – 2.7m. 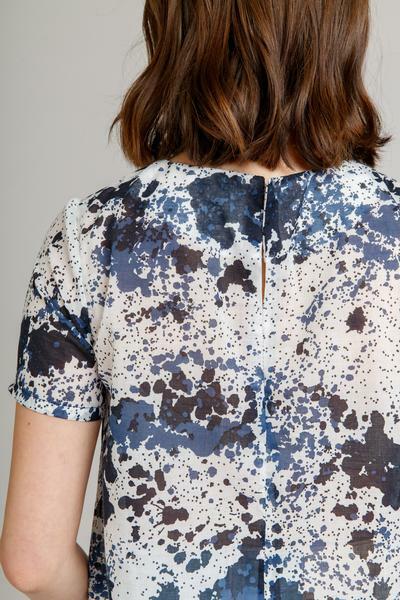 Pattern Description: a blouse and dress pattern with an asymmetrical front hem. 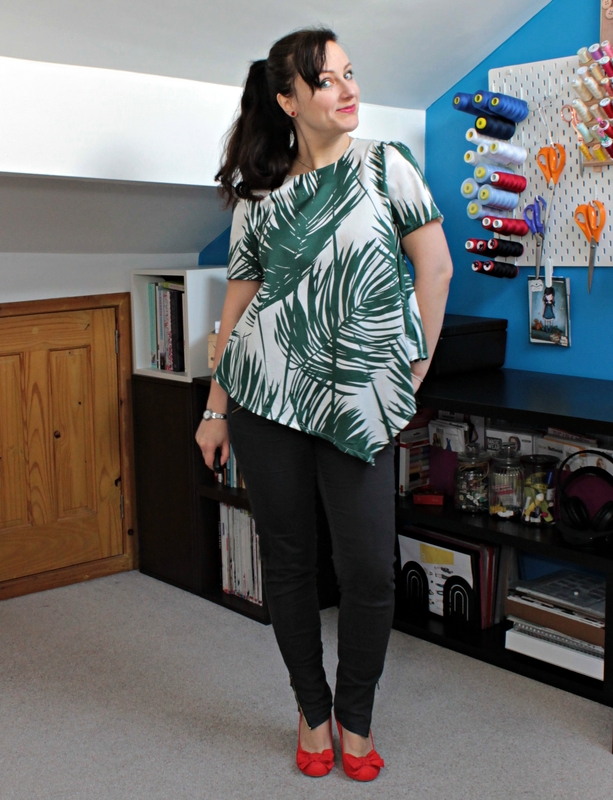 Can be made sleeveless or with short or long sleeves in a woven or a knitted fabric. 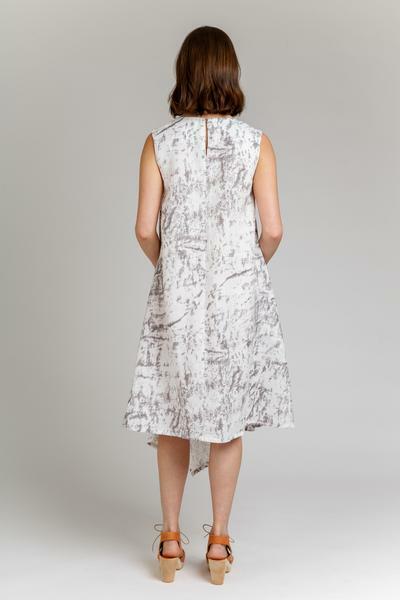 The pattern has a different neckline and sleeve patterns for the knit fabric versions included. Were the instructions easy to follow? I did not really use them as I am experienced and do not necessarily need instructions other than checking for sizing and seam/hem allowances. Therefore, I cannot comment on how good or bad they are. 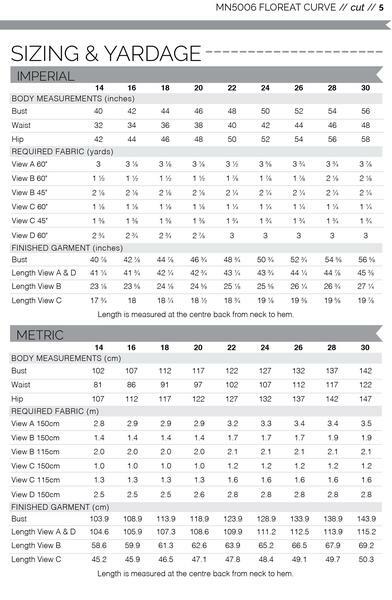 Pattern alterations or any design changes you made: I cut a size 6 (based on finished garment measurements compared to my body measurements) and used a 1 cm seam allowance instead of 1.5 cm as instructed. I used the interfacing as facings and then fused it directly to the main fabric to reduce bulk. Fit: It fits well. Maybe a little too tight in the back. It’s not tight enough for me to want to size up. Please keep in mind that I cut a smaller size than my bust measurement would advise. Would you sew it again? Would you recommend it to others?Yes. I want to make the dress version as well. I’ll probably be making this one a few times before I am done with this pattern.